It is a complex world re: equipment but take your time to get it right. 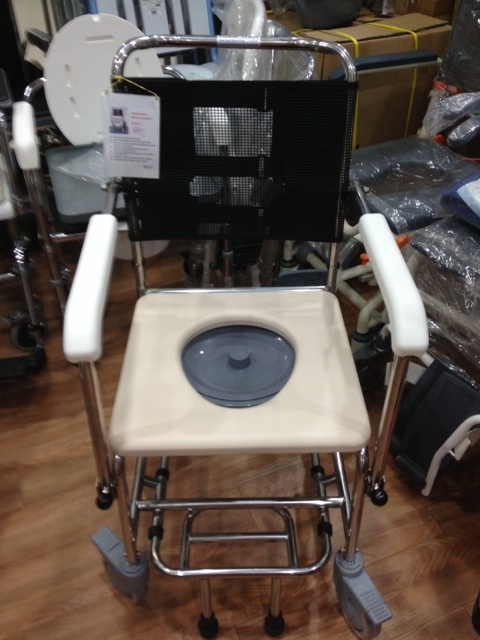 We bought this commode in Singapore as the shower turning circle was tight, it has a retractable foot plate. Buying was cost effective rather than hiring, for info re: Singapore see Travel page.